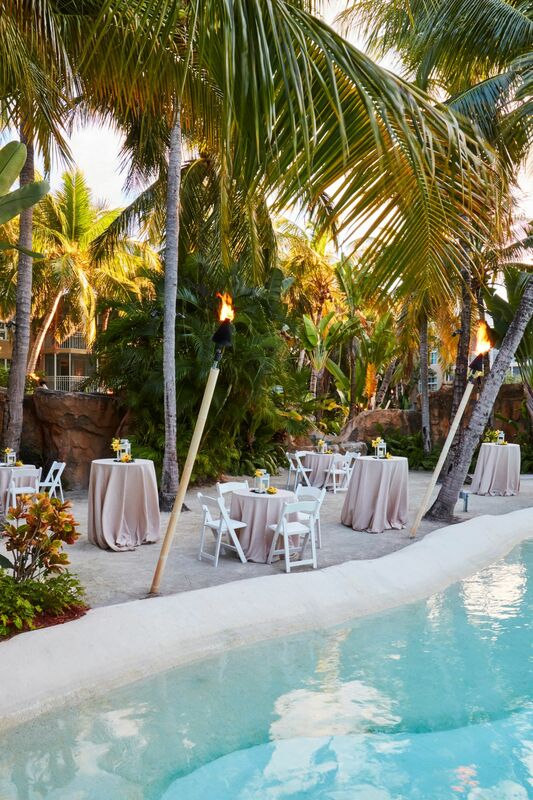 Cheeca Lodge has been the leading meeting and conference event venue in the Florida Keys for decades. Featuring elegant accommodations, world-class dining and an array of tropical activities, the amenities at Cheeca Lodge take the work out of corporate travel. Read reviews of the Cheeca Lodge meeting experience below for insight into your group’s upcoming travels. Everything from the lobby, the beach, pools, restaurants, etc. Our room was amazing with the oceanfront and tub on the patio. I would highly recommend and can’t wait to go back. My wife and I spent a week at The Cheeca Lodge & Spa, meeting a few family members to celebrate our love and restate our vows. Before we booked our stay in February, we knew that the Cheeca was working hard to reopen after last year’s devastating hurricane damage. I can state with great certainty that The Cheeca Lodge & Spa is back in operation, the staff are always smiling, accommodating and enthusiastically helpful. The food, drinks, restaurant, private beach, our suite, the bed, sheets and pillows ... all truly magical. We come here when we visit the Keys, and will always return. Mostly want to thank Stuart and Reggie ... you guys were awesome! It truly is a relaxing and enjoyable experience. We love the location and relaxing by the pool. The staff is friendly and can’t do enough for you. Looking forward to returning next year. "Paradise in Islamorada, Florida Keys"
Our recent visit to the renovated and revitalized Cheeca Lodge and Spa was spectacular! The amenities, from an executive golf course, ocean views and water activities were breathtaking. In addition, a variety of wonderful restaurants abound with updated and very creative menus. The tenor, tone & ambiance of the entire facility is supported by a caring staff that immediately establishes a warm, friendly and supportive environment. In the Florida Keys, Islamorada is a an outstanding destination and Cheeca Lodge & Spa is the place to be!!! We visited Cheeca Lodge shortly after they reopened after Hurricane Irma. The staff couldn’t be friendlier! The food was good and included water sports were a nice bonus. Great place to relax and unwind.